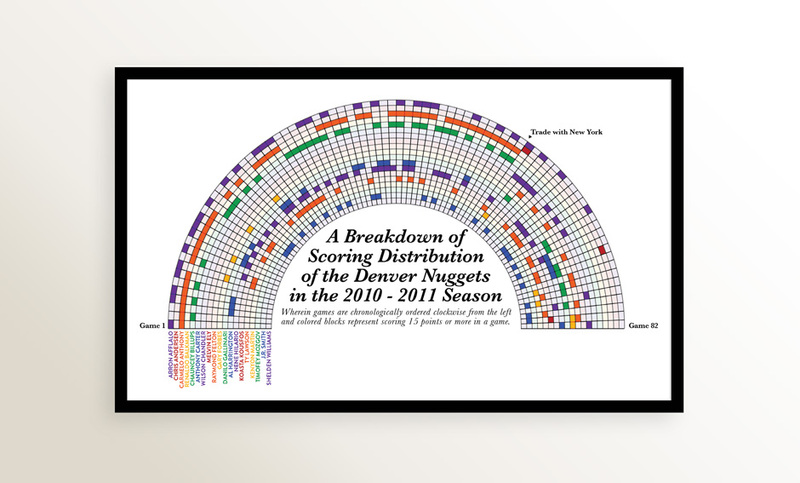 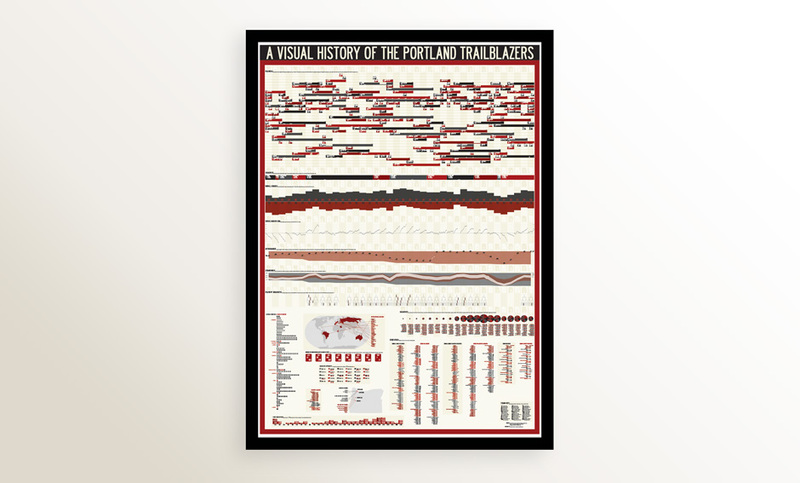 The original piece in this series was the most ambitious: inspired by a series of complex infographics developed by Timeplots, a timeline-based chart of all possible information concerning the Portland Trailblazers. 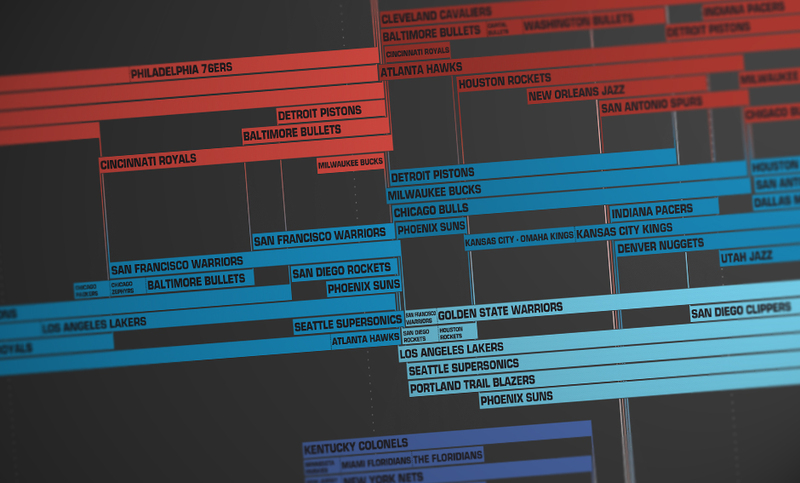 Future charts took a much smaller scope and dealt with a wide range of topics include draft picks, record setting, and salaries. 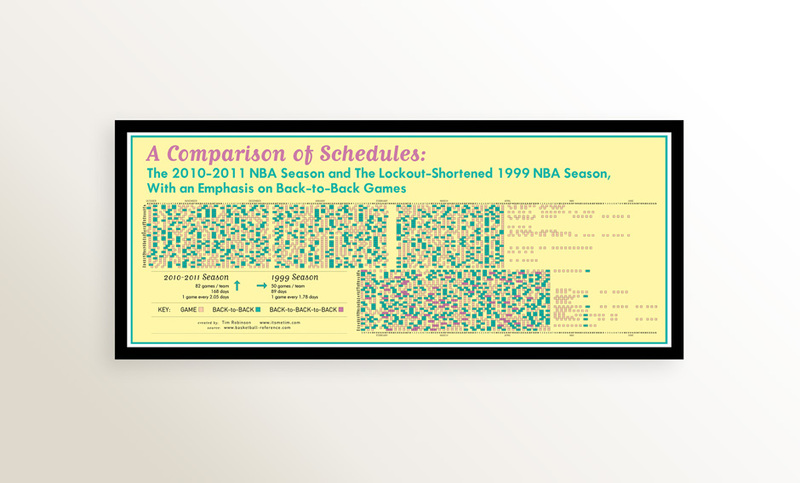 A chart comparing schedules was featured on Hoopism on ESPN.com.